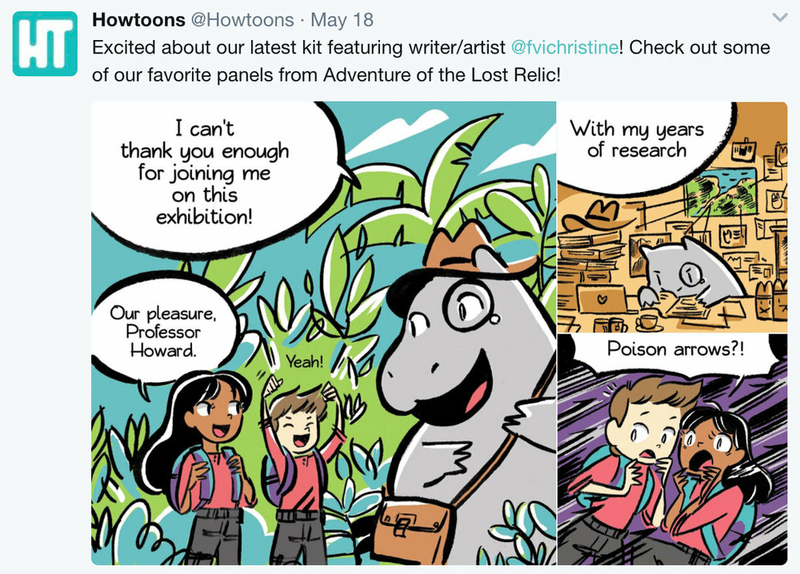 HowToons: "Adventurers of the Lost Relic"
Eight-page comic strip accompanying Howtoons educational subscription project kit for the May 2017 "Hippo Sanctuary" kit. Celine and Tucker team up with Professor Howard the Hippo on a search for the lost relic of Hippocampria. Follow them through their booby traps and scheming puzzles as they get closer and closer to the treasure. Banner ad showing project. (c) Howtoons 2017.